What is STRETCH down and does it really work? Well, obviously we’re talking about giving the shell and interior part of the jacket some stretch for added mobility. I’d say the stretch element is subtle, but it does in fact make the jacket very comfortable and enhance movement. The warmth is a notch up from a Ghost Whisperer and the addition of a fleecy fabric in the interior of the jacket adds to the comfort. At 15 oz, the jacket is not UL but puts it in the more “basecamp” category of comfort and warmth over absolute lightness or packability. We really like the thinking on this jacket. The pillowy warmth makes for a jacket you don’t want to take off. This is the jersey version of the Callaghan hoody. Just like the hoodie, they layered comfortable merino on the inside next to your skin, and the poly on the outside for durability and resistance. The fit is much tighter than the hoody, but not race fit by any means. This is the jersey for those that prefer the look of natural fibers and tasteful colors, but still want wicking performance and great on-bike fit. The pockets are styled just like the Corsa Jersey, with two large pockets with 45 degree openings for ease of use when reaching back for ride food, as well as sleeves for phones and other valuables. We like the approach here, maybe we can take a cue from 7Mesh Callaghan Jersey and just relax a little and enjoy the ride. We're finally approaching real winter and as soon as the temps drop below 45, I'm all about the thermal bib shorts. Same Rapha comfort we've come to rely on, but with an added layer of thermal fabric. They still breathe well, so overheating is never an issue, they just add a bit of comfort and as a result let you stay out longer without having to run for the barn. The chamois padding is generous and I've never felt these shorts to be anything but completely comfortable. Price just dropped too. If you have any ambitions of logging (outdoor) winter miles, we'd say these are essential. WxB is Pearl Izumi’s code for Waterproof/Breathable. Lightweight, packable and very rain resistant. They’re cut trim, so best to size up if you want to layer anything under them. if I just want bibshorts underneath, I'm fine. If you want street clothes under, for sure go up one size. 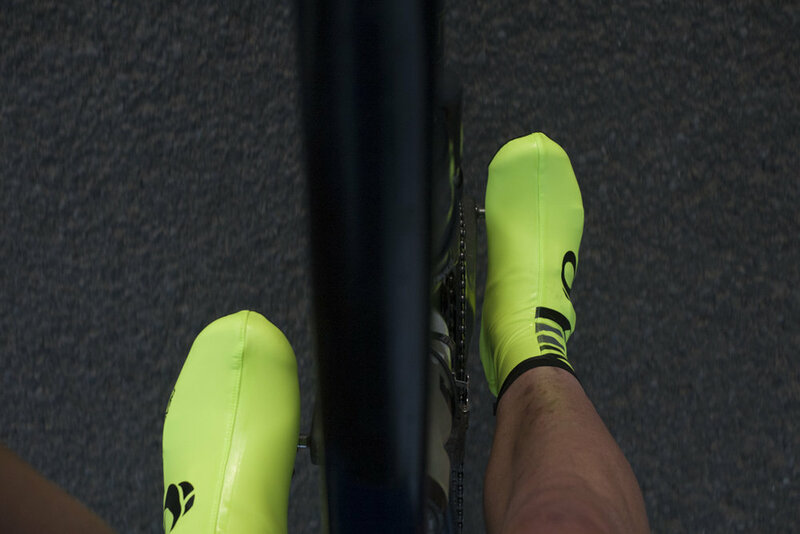 They’ve been impressive in the rain, and we like the tabs at the ankle that let you snug them up without flapping. The tabs at the waist adjust nicely as well. With the Mountain Hardwear Not-so-Tights we talked about sweats that look more like streetwear. The Pearl Izumi WTB Summit Softshell pants do that nicely with an added cargo pocket and zippered pockets. These pants are so comfortable I can almost guarantee they’ll become your favorite post-ride lounge pants. The cut is very well done and they find that perfect blend of a trim cut without being snug. They are designed to be a bit grime and spray resistant, but maybe best to leave them home for soaker days. I tried an around town spin in them on a rainy day and came home damp. As with most softshell material, they provide good warmth and wind protection. I think they’d make great XC ski or fatbiking pants as well. Swiftwick makes great socks. Period. They only make socks, so when you read the description of the Pursuit sock, you can tell they sweat the details “The PURSUIT™ Line is the world’s first 200 needle compression sock made from all-natural Merino Wool, sourced from farmers in the U.S. Our premium-cut fibers create a soft, non-scratchy feel. Our Linked-Toe technology prevents blisters by eliminating bunching in the toe-box. Combine this with our Managed Compression™ that supports all 3 arches in the foot, and you have a no-hotspot, blister-free, perfect-fitting sock.” Swifwick blends merino with olefin fibers to create a warm, yet wicking sock. We love the height of the 7. Recommended. We already raved about Ibex Woolies 1 base layers, so we were stoked to hear Ibex is making merino socks! I’ve tried enough different socks to know that I like a good Merino/Poly blend. (These are 68% Wool, 29% Nylon, 3% Spandex) I like socks that last. I like cuffs that don’t strangle my ankles. I like a nice mid weight for winter for just a touch more warmth without making our feet sweat. I like socks that breathe and don’t leave our feet cold and clammy. I’m not even that concerned about graphics or colors on my socks right now. I just want something neutral that feels good and performs. Ibex is synonymous with quality, so I know I’ll wear these everywhere. Nice range of neutral colors on these as well. Like. For cold and wet conditions. So far these gloves have been flawless. The outer fabric seems to wet out a bit, but we stayed warm and dry inside. These are definitely a colder weather glove that maintains good dexterity. Not too bulky. Nice light padding on the palms and velcro wrist closures to keep things snugged up. Why is it so hard to find good shoe covers? They need to be wind and waterproof and provide a bit of extra warmth. Also, just walking in them shouldn't destroy them. I have maybe ten rides in these shoe covers and so far these are perfect. They do everything I just described above with the added bonus of being high vis - both with the neon yellow color as well as reflective strips. The hook and loop closure system makes them fairly easy to put on and they have just enough stretch to fit well and not tear when you put them on. So far these WxB shoe covers are flawless. Highly Recommended. 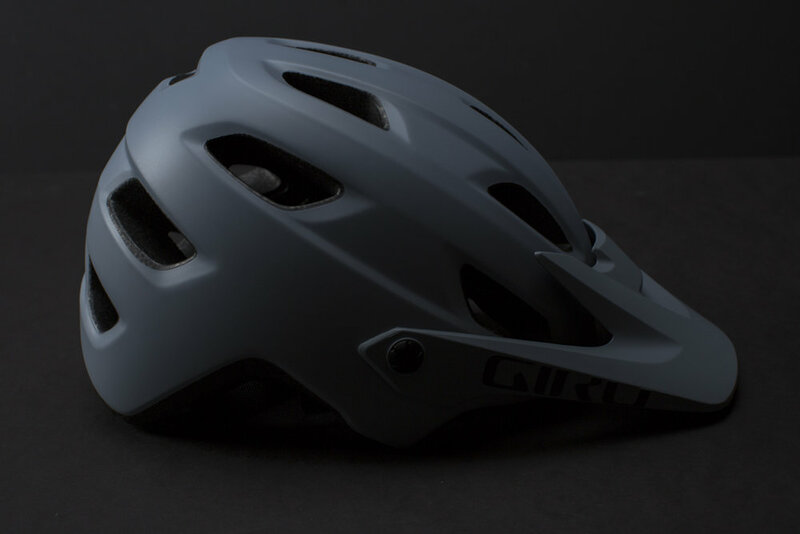 The Chronicle is a good-looking MIPS helmet for trail riding for only $100! I really just want to stop the review there. That should be enough. The helmet has excellent coverage, an adjustable visor (room for your goggles if you enduro) Good venting and the Roc-Loc dial is proven and easy-to-use for on-the-fly adjustment. 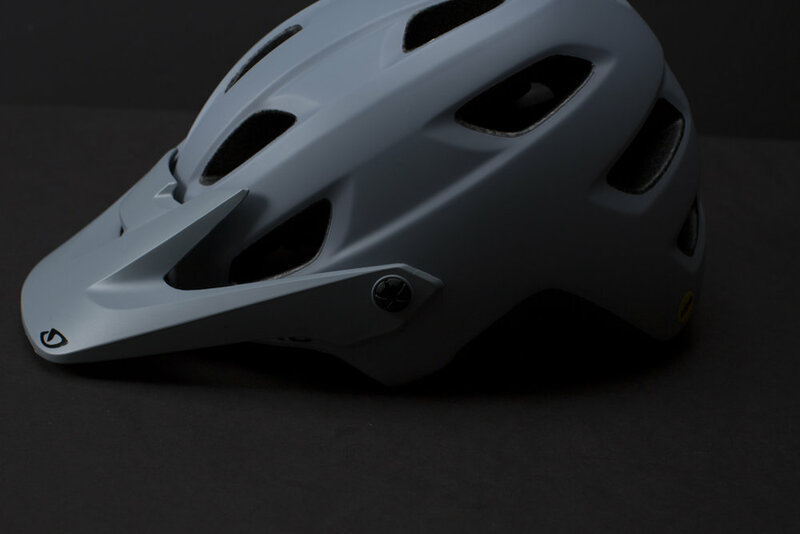 The Chronicle borrowed design styling from their Montaro (Montara for ladies) helmet, and loses some features like the anti microbial padding and light and POV cam mounts. What you do get is a rock solid MIPS trail helmet for a hundo. Nice one Giro! Any conditions that are too dark for the Trail lenses demand the photochromic lenses. We’ve had these lenses on our Jawbreakers and we swear by them. These are our go-to lens for most PNW winter days. They perform amazingly well in low light situations and if the sun comes out, they automatically darken to cover you in that situation as well. The EVZero is a no-compromise minimalists dream. They are so light and comfortable you'll forget you're wearing them! Be sure and try them on with your helmet and make sure the arms play well with your helmet shape. A bell for those who appreciate design objects and don’t want a bell that looks like a bell. The Knog Oi bell is all about subtlety. It blends in with your handlebar and makes a subtle pleasant ding that lingers in the air. You don’t want the loudest bell, just a subtle ding. Putting it on carbon bars? Get the black version. Build quality is not on par with the Spurcycle, but it also costs $30 less. I worry about the plastic dinger and the spring breaking, but so far, so good. When it looks this good and blends in so well, who cares…buy one for each of your bikes. Hydrapak specializes in flexible, collapsible bottles and flasks. We saw this one at the GU booth at the last Interbike and this year Hydrapak is releasing it into the wild. My theory with the 150ml size was to create my own soft ride food out of things like sweet potato, banana, quinoa, maple syrup. If you blend it up properly it works like a charm. Of course you can fill it with your choice of liquid or gel. These things are awesome – portable, washable, crushes down to almost nothing when empty. Hydrapak makes a large range of container sizes. Surely one will suit your custom blend. We’re always working on improving our base camp game. The game goes like this: bring a few items that greatly increase your comfort and pleasure while camping out. This usually means whatever will fit in the Subaru. We had been looking for good, folding camp chairs when we came across the Alite 4-legged Mantis chair. The Mantis chair is pretty genius and the aluminum frame goes together just like tent poles. Packs up tiny, so you can save room in your car for other essentials. Add the Cozy Cover for an extra $40 for a bit of added warmth. Rumpl make comforters that make you want to stay home and curl up with movies and hot cocoa, but at the same time Rumpl wants to be your apres whatever throw. Throw it in your car for a weekend getaway or picnic. They choose materials that are hard wearing, but also feel good against your skin. “Rumpl believes the blanket you used everyday deserves the same attention to detail as a sleeping bag you might use 10 times a year. The end result is a premium and versatile blanket that can be used anywhere you go” My favorite thing about the Super Fleece Blanket is the heavy weight and the anti-microbial fleece. We let Memphis, our beloved dog sleep on this with us and have no worry about it getting ruined, since it's stain resistant and machine washable. Orange Seal is still your best bet for trouble-free tubeless performance. Peace of mind is what we're after when it comes to setting up our tires. We don't want to worry that our sealant is going to take care of the little punctures that happen on trail. We're happy to see the 32 oz. size being offered and the injector system (comes with dipsticks to check your sealant level without having to break the seal) is a breeze to use. Setting up tires can be a headache and anything that improves that chore is well worth the investment. We're putting our money on Orange Seal. 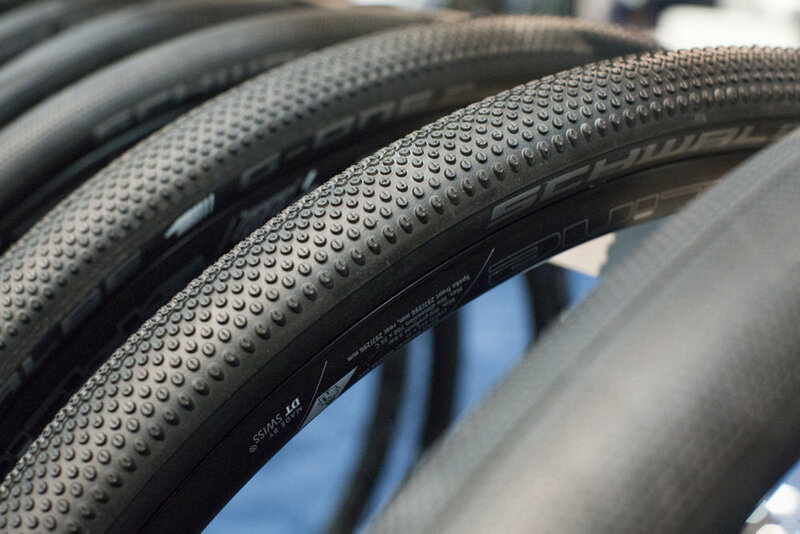 Schwalbe calls them Tubeless Easy. This is one case where marketing speak rings true. They are easy to install and come off with a bit more work. It’s hard to say across the board though, since rim/tire compatibility can vary greatly from brand to brand. We’ve been running these on Reynolds ATR wheels with no problems. First, the 30c G-One Speed tire was one I couldn’t wait to ride test since I saw them at Interbike. They seemed like the perfect tire for mixed surfaces, I imagined rides like the Dalles Mountain 60 which is half smooth dirt roads and half pavement, where you would want a tire that offered slightly more grip and slightly more volume than a slick 28 road tire. They offer great traction on both dry and wet surfaces. The tread is very low profile, so I imagine the tread will wear down fairly quickly. I haven’t worn them smooth yet, but I’m about halfway there on the rear. The front tire still looks pretty fresh. I absolutely love the 30c size. I would run this size year round for just about any ride and not feel like I’m compromising any speed. Tip! The 40c G-One Allround tires I have fewer rides on, but so far I’m loving them. While slightly slower than the 30c All Round tires, the G-Ones are extremely comfortable if run at the correct tire pressure. They are smooth enough to carry good speed on pavement and have enough tread depth to feel grippy on dirt. The tread doesn’t pretend to have side knobs, so with these tires you won’t be laying your bike over and hoping for grip. Keep it upright, y’all. We just really love the concept here with low profile 40c tires that still haul on pavement. We plan on riding these year round on all kinds of surfaces, so stay tuned for further impressions. So far, they’re excellent. We became aware of Infinit Nutrition at Outdoor Demo this year. As usual, the weather was hot and we intuitively kept coming back to fill up our bottles at their booth. Their drink formula was more salty than what we were used to, but it hit the spot, so we came back for more. I got in touch with them after Interbike and learned that their bread and butter is custom formulations. How does custom hydration work? You fill out a detailed form that details things like: How heavily do you perspire? How fit are you? From this questionnaire they put together a hydration mix that works just for you. Of course you can fine tune your recipe from one order to the next, want a bit less sodium, a different flavor? No problem. You can even add a bit of caffeine! Beyond just hydration, if your thing is food in the bottle, they also offer a GO FAR blend, something they call “complete endurance” that has all the calories, electrolytes, and protein you need for those all day rides. So that means you don’t have to think about what food or gels to bring on your ride, just bring enough GO FAR powder for fill ups. Some people just can’t keep real food down and will benefit greatly from a product like this. We haven’t been doing rides much more than 3 hours this time of year, so we’ll give you a full report when we do. So far, the hydration has been great - I’m loving the salty lemon lime with a touch of caffeine. We’ve also tried their recovery protein formula, their NOCTURNE overnight recovery and their MUD meal replacement with great results. I think triathletes and endurance racers can benefit from these custom blends. They have enough different products (and variations) to satisfy the most particular athletes’ needs. Give them a ring and they start your custom consultation. Caffeine junkies…we're always looking for new ways to enjoy our coffee and make the most of our beans. Have you tried cold brew? Yes, Stumptown offers their blend in milk cartons, but you can brew your own at home. The advantages of cold brew are that it's a smoother brew with less acidity, which means more flavor, less bitterness (and it's better for your stomach) Of course you can make cold brew at home in a mason jar and filter with cheesecloth, but the CoolGear Bru takes the work out of it with a filter that nests perfectly in a tumbler. It even comes with a straw. Brew times range from one hour to ten depending on how strong a brew you're after. Set it up before bed and enjoy the next morning! If you're a coffee drinker like me, morning coffee is not optional. Sad but true. When you're going truly fast and light and don't want to bring coffee makers, grab a pack of instant. In the past this move meant sacrificing flavor, but not anymore. Starbucks VIA packets work too, but why not support a small Colorado startup instead? “At Alpine Start we took our time to find the choicest beans and discovered a way to brew them that locked in their natural bold flavor.” Editor note: tiny packets will take up minimal space in your kit and the coffee is delicious.